Truckers are expected to pay a flat daily fee of $25. Lawmakers in New York have agreed to a plan to add ‘congestion pricing’ for drivers who want to enter congested midtown Manhattan. 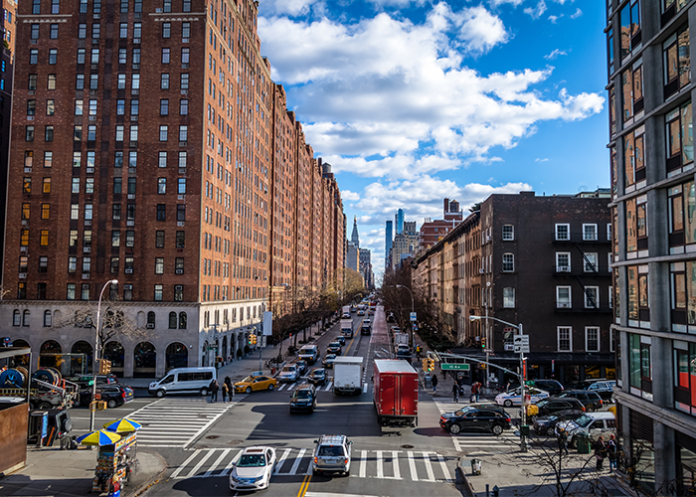 On Sunday, March 31, authorities in New York announced that congestion pricing would be included in the 2020 budget passed by state legislature. The program will work by installing electronic tolling devices on the perimeter of the Central Business District, defined as streets south of 60th Street in Manhattan with exception for FDR Drive and the West Side Highway north-and southbound express routes. The budget offers few specifics about how congestion pricing will work, but CBS2 reports that cars will likely pay around $11.50 and trucks will pay around $25. Drivers will not be charged the toll more than once per day, authorities say. The congestion pricing program is expected to generate $15 billion in revenue, which will go towards funding the city’s mass transportation needs. Eighty percent of the funds raised by congestion pricing will go towards the subway and bus systems and the rest will go towards railroads. The congestion pricing is set to go into effect no sooner than December 31, 2020 and will be “the first program of its kind in the nation,” according to a news release from the office of Governor Andrew Cuomo.